Ball Park Liquors manager chased a man who stole two bottles of Hennessy. SEBASTIAN – Police said the manager of Ball Park Liquors chased a man who stole two bottles of Hennessy, the report said. The manager told Sebastian Police that he chased the man through the parking lot and into the Shark Mart where he ran into the bathroom and locked the door, according to the police report. Unfortunately for the man, officers were already at the Shark Mart for an unrelated incident and were able to detain the suspect from the bathroom. The man was identified as 28-year-old Paul Theodore Green. Officers found the two Hennessy bottles in some nearby bushes. The total value of the items stolen was $229.98. 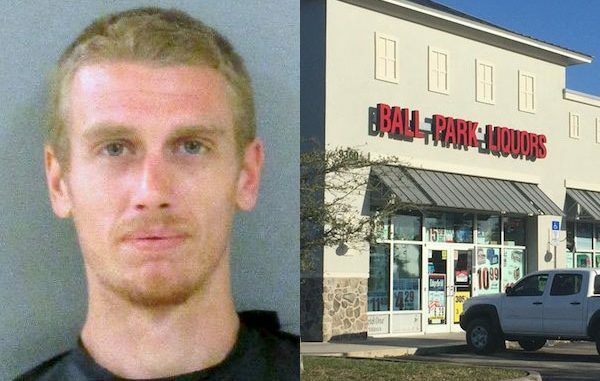 Green was charged with Retail Theft, and Resisting the Merchant and transported to the Indian River County Jail. As of Monday afternoon, Green is still being held on $1,000 bond.